Hello friends and welcome to week 21 of my Makeup Monday Series. Today I'm going to talk about two simple makeup tips. 1. 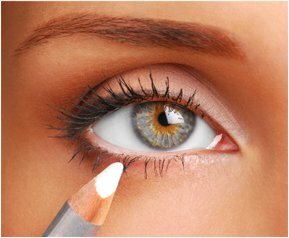 Using a white pencil to line the bottom waterline of your eyes will make your eyes look bigger and appear more awake. 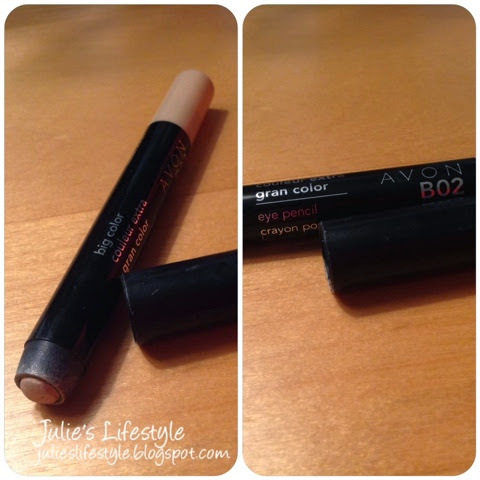 Here is a white pencil that I like to use by Avon in the color vanilla #B02. 2. Using an eyelash curler before you apply mascara will make give the illusion of bigger and longer eyelashes. This eyelash curler is from Sephora and I love the way it works. To see the link for this eyelash curler click HERE and the cost of this curler is $17.00. What makeup must have tools do you like to use? 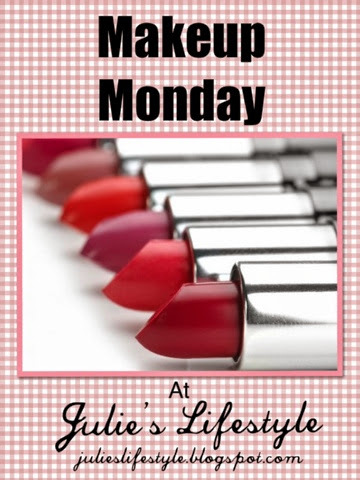 Thanks everyone for stopping by and see you all here next Monday for Makeup Monday. In case you missed any posts you can find them HERE. 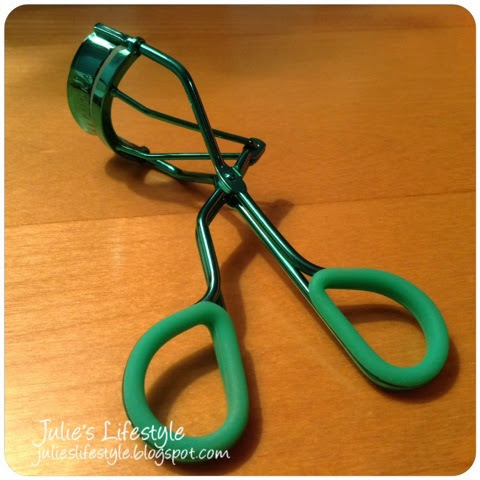 I am a eyelash curler addict, Julie! I have very long eyelashes, but they do not curl....without a lot of help! I use a Revlon one from a local drugstore, I haven't tried the Sephora one. It looks nice, maybe it's time to try something new! Is it pricey? I used to wear makeup when I was a teenager and early 20s. I'm 30 now and just started experimenting with makeup again. And I definitely need an eyelash curler! lol, I could never get the hang of that tool, about pulled out my eyelashes. But I do use a eyelash comb to separate my lashes. Julie I have shared your post on Twitter abd Pinned your post to my MR Pinterest Board today. Thanks for stopping by Mondays Reflections!!! I always use an eyelash curler. wish I could say my eyelashes are long, they're short. sigh. thanks for the tip about the white pencil; I'll have to try it. have a good week, Julie! I like the white eyeliner tip. I definitely could use it!! Thanks! I will be on the lookout for a good eyeliner now. I have been looking for a new eyelash curler - this one looks great. Thanks for the tip! I think I really need to try the white pencil under my eyes. I have hooded eyelids so they tend to look "droopy." It's so good to visit, dear Julie, and to learn something new from you :) Hugs and blessings! I had my makeup professionally done on Saturday and she used an eyelash curler that was different than any I've ever seen. It was very short and super easy to work with. A tip I like is a blue pencil and use it as you're using the white one. Would you believe I have the same pencil I used on my wedding day more than 30 years ago?? I know. Don't yell at me. The white pencil idea is one I will definitely be stealing! I already put white shadow on the inner parts of my lid to brighten the eyes and can't wait to try this out too! Hey Julie! I've been hearing about the benefits of white eyeliner and shadows. I will definitely have to try, I've never used an eyelash curler before. I bet they're much better now than before. Great post! Thanks for the tips, especially the white eyeliner tip. If I only have a minute, those are the 2 things I go for. Cool tip! I don't really use make-up much, but it's great to know there's a way to make myself look more awake for those nights when I really didn't sleep well. Thanks for linking up with Creative Spark! Great Tips!! Thanks for linking up at the Bloggers Brags Pinterest Party!! I love your makeup posts! Thanks Kelly and glad it was helpful! Found your blog through the link up, I swear by my eyelash curler! I have always wanted to try the white eyeliner, do you have any other "drugstore" suggestions for a good white eyeliner? I have long eye lashes but have never used an eyelash curler myself! Thanks for joining in the Monday Makeup Madness #9 link up party!